Kao TV unit is a functional unit of the finest quality. This Piece features 'BLUM' soft close drawers that effortlessly slide out and will close slowly once pushed back in, eliminating slamming drawers. This piece also features one open section for set top boxes etc. The white powder coated handles create a great balance between timber and steel. The angles of this piece are very modern with a retro feel. It can blend into an array of home designs including a scandinavian look. This pieces is 1800mm long and is made from American Oak timber, which gives this piece an elegant look. Finished with Osmo Polyx Oil (finest quality natural oil). What do you want to display and how much space do you need to store items? If you have a simple TV setup with basic TV accessories to install then you can buy any kind of Entertainment Unit that suits your place. But if you need to display decorative pieces on your TV Cabinet & store books, CDs, DVDs & games consoles then you can opt for having an Entertainments Unit that has enough storage space as per your requirement. Make your custom order according to the available space after checking the size of the room where you want to place Entertainment unit. Customized size of Entertainment unit will be installed perfectly at your decided space. 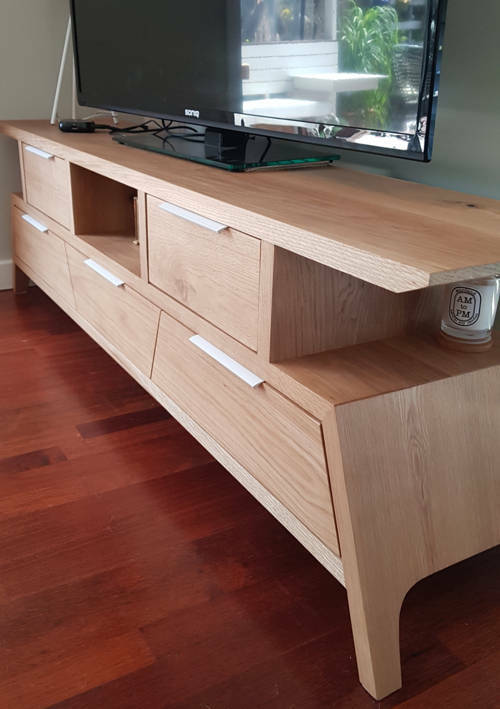 We at J R Bespoke Designs use best suitable timber material & design shape of TV unit in accordance with your existing interior. 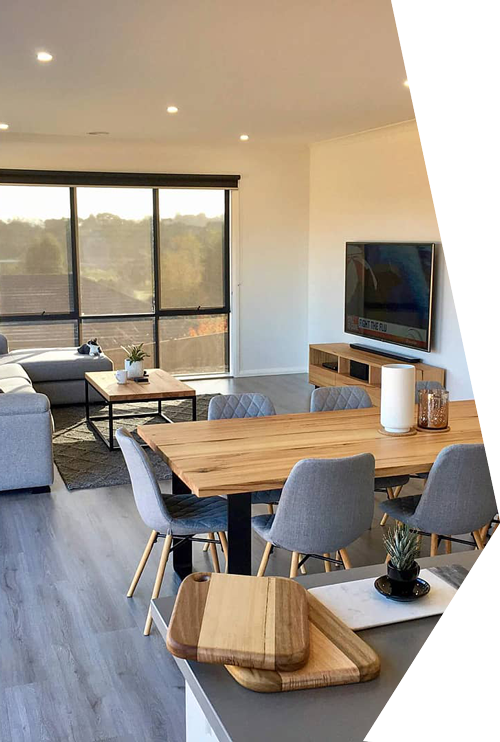 We offer wide range of TV Cabinets & Entertainment Units all over Australia. Our range of TV Cabinets includes Peninsula TV Unit, Kao Entertainment Unit, Delora TV Cabinet, Nicola TV Unit and Oakheart TV Cabinet. To discuss your requirement or have a look at our furniture designs, you can visit us. Our workshop is only 10 Km away from Melbourne CBD. For more information, call us on 0409402464.